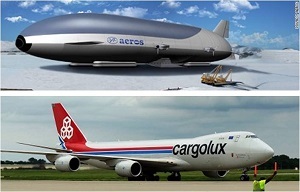 Aeroscraft Corporation (Aeros), creator of a new variable-buoyancy cargo airship known as the Aeroscraft, and Cargolux Airlines International S.A (Cargolux), have signed a memorandum of understanding. 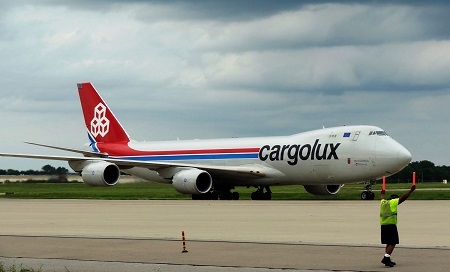 Cargolux and Aeros are working together to explore a strategic partnership that provides new vertical airfreight logistical services and intermodal standard container transportation solutions, the companies said. They will explore the benefits and structure surrounding utilization of the Aeroscraft’s capabilities to provide air transportation and logistics services throughout the European and North African regions, and beyond. 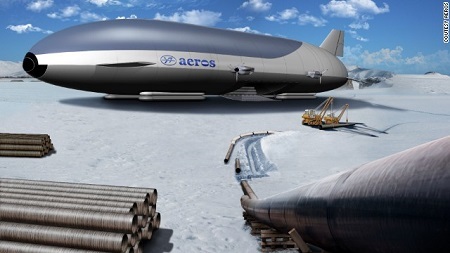 Artist’s impression of an Arctic airship by Aeros. The Aeroscraft will solve many current logistical problems through its vertical take-off and landing (VTOL) capability for heavy and outsized cargo, and ability to transport ISO containers vertically, said a release. Furthermore, the new partnership with Aeroscraft will allow Cargolux to continue a 40-year history of innovation by becoming a launch partner for the Aeroscraft 66 short ton (ML866) and the Aeroscraft 250 short ton (ML868) models, evaluate the benefits of offering access to Aeroscraft vertical lift logistics services to global partners and strategic clients, and take advantage of priority in the availability of the Aeroscraft service and operational fuel savings. “Cargolux is pleased to sign this memorandum of understanding with Aeros and excited to further explore client solutions surrounding the introduction of this innovative new type of aircraft,” adds Richard Forson, Cargolux’s Interim President & CEO. Similarly, the new partnership will allow Aeroscraft to gain access to Cargolux’s airfreight network in Europe and the surrounding regions, leverage Cargolux’s extensive project and general cargo expertise supporting operations, and gain access to Cargolux’s network and expertise in providing maintenance services to support the Aeroscraft’s European operations, the release said. 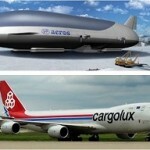 This entry was posted in Airships, News and tagged Aeros Corp., aeroscraft, Cargolux, Igor Pasternak. Bookmark the permalink.